When it comes to picking out a survival watch, you need to plan ahead for everything. You need to imagine that you are in a survival situation. That means the SHTF or it could be that you’ve got lost while camping. You are never able to really know what might actually happen to you or your watch, but you want a watch that will take a real beating and still keep working and give you as much flexibility and information as possible. Information is power. This isn’t the job for one of those fancy fashion watches or your basic diving watch. You need something that will survive water, moisture, shock, heat, sand, cold, and years of being used. You need something that will give you information to help you survive and find civilization. It needs to be reliable and easy to use. 2 What do I cover in this article? 4 Why would you want one anyway? 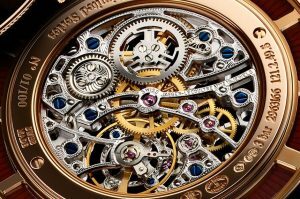 5 Which watch mechanism is best? Ridiculously loose and the only way to adjust it is via undoing the paracord and re-doing it. 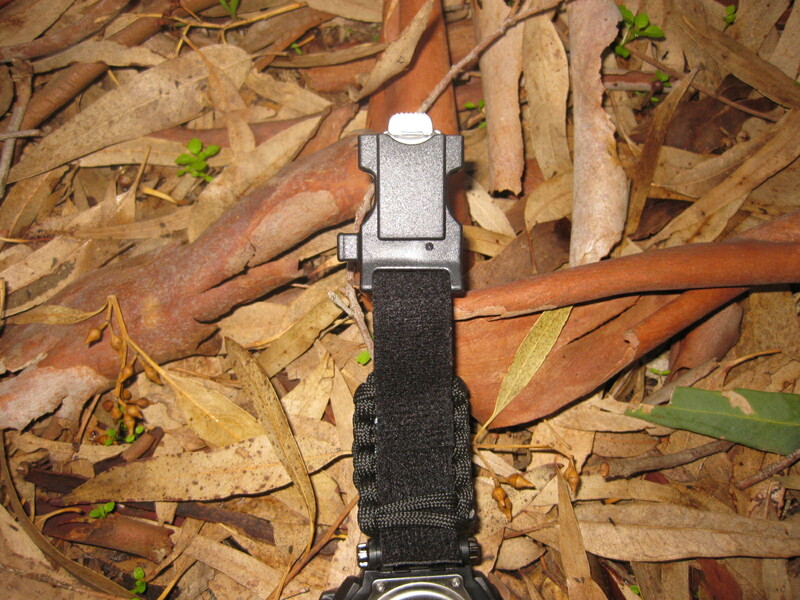 There’s only one good quality watch in this niche that I like and it’s the Aussie Survival Gear Survival Watch. It fixes a lot of the issues that the above models have. The compass on it works much better than other options. 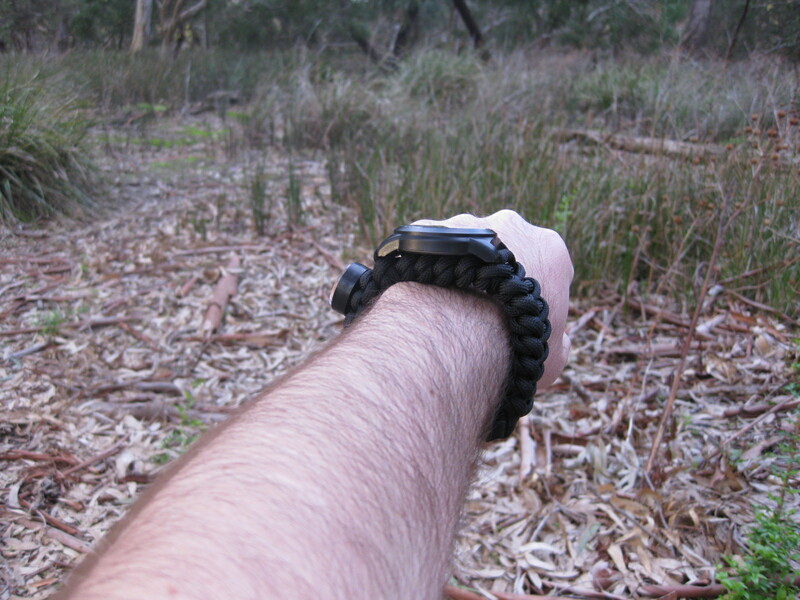 The paracord doesn’t go under the watch face so it’s not as bulky as other watches. It’s waterproof unlike many of the other options! It’s the only watch with a paracord band that I would call good quality. 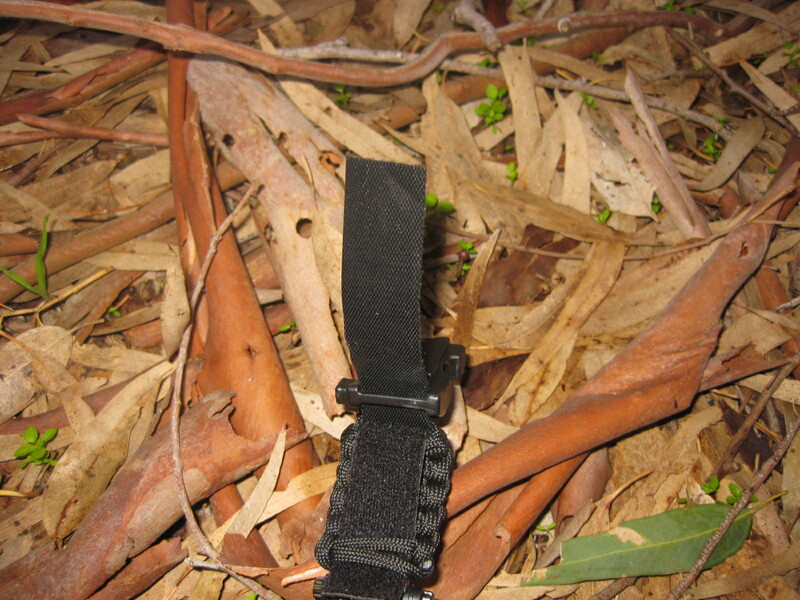 The rest in comparison to the Aussie Survival Gear Watch are junk. After reading the above description of the three types of survival watches available, you’re probably wondering what you should go for, a navigation watch, a g-shock watch or a paracord watch? They all tell the time, but they have very important, but very different additional features. 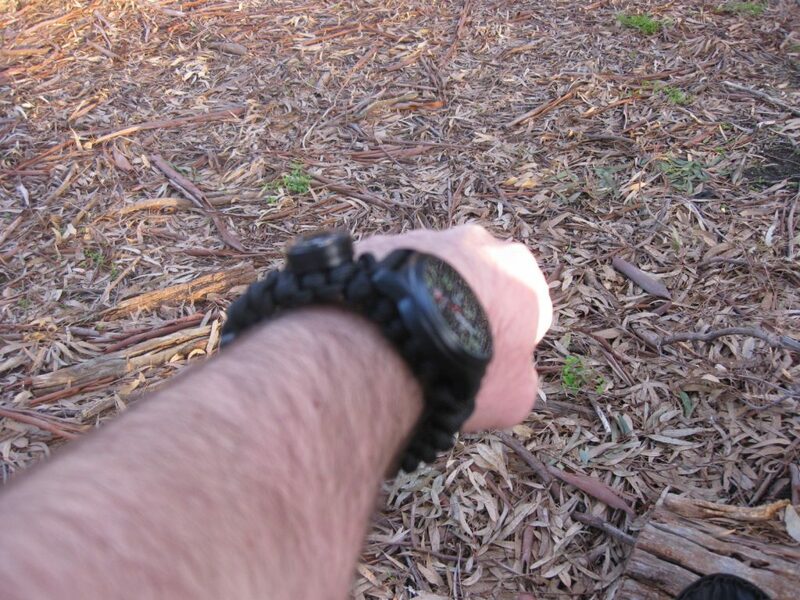 An option you have is to buy a navigation/g-shock watch and put it on one wrist and then to purchase a survival bracelet and put it on the other wrist. That way you can cover all your bases. 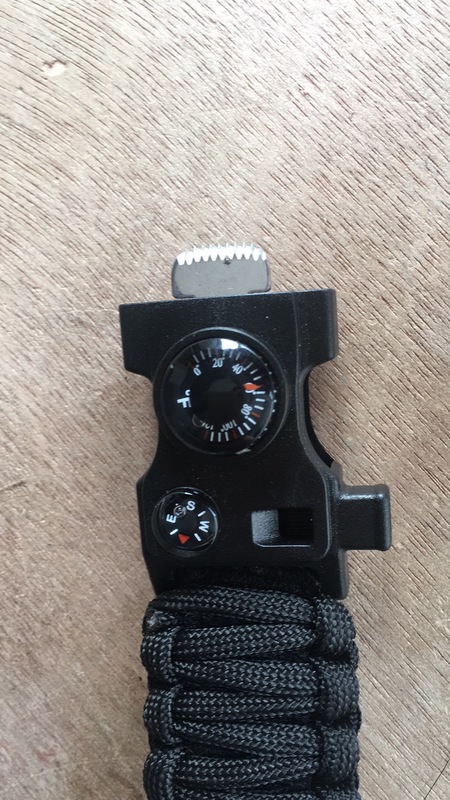 You’ll have a barometer to tell if it’s likely to rain, a reliable digital compass to help you navigate etc as well as paracord and a fire starter. 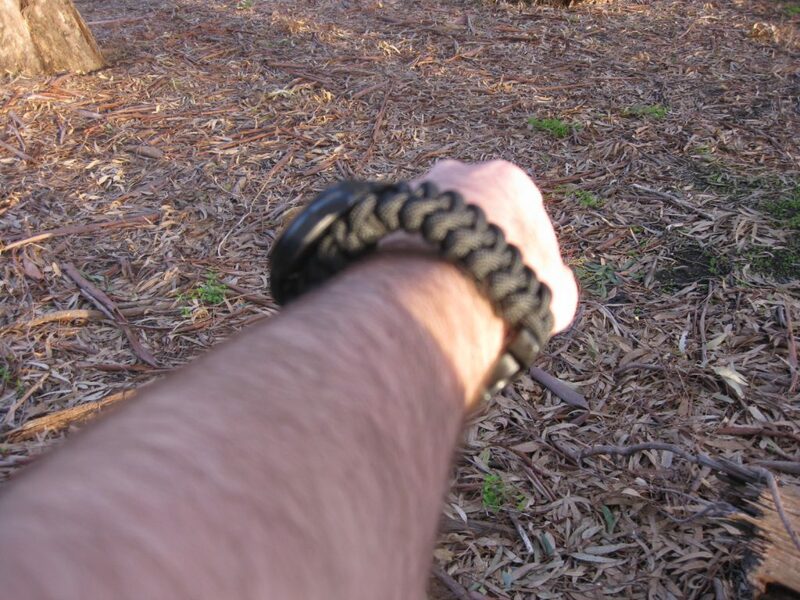 The problem is that the navigation and g-shock type watches are really expensive so I think it’s best to go for a watch with a paracord wrist band. The only one I recommend is this option. What do I cover in this article? 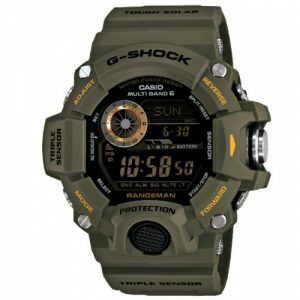 I’m going to cover navigation style watches and g-shock watches. 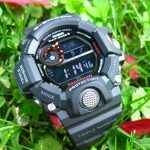 The reason I’ll cover both in this article is that some, but not all g-shock watches have navigation features so it makes sense to have it all in the one article. The first thing I’ll do below is put a table together for easy comparison of your best options. After that I’ll go into more depth of how to choose a watch based on how the clock mechanism works i.e. quartz, mechanical, automatic etc. (I make the descriptions really easy because if you’re new to watches it all sounds like mumbo jumbo) and what’s best for a survival situation. Then I’ll go over the additional features of the watches such as thermometer, baramoter etc. and how they can be used in a survival situation. After that I’ll go into more depth about each watch. Check today's price 4.7 High This product is awesome. It's g-shock so is super tough and has all the extra features you’re after such as: altimeter, digital compass, barometer, thermometer and is mud resistant. Check today's price 4.7 High Is pretty much identical to the rangeman. Is super tough, and has all the features you’re after such as: altimeter, digital compass, barometer, thermometer and is mud resistant. This is the best non g-shock option. It has multi-band atomic timekeeping, 200M Water Resistant, Duplex LC Display, Tide Graph (tide level for specific date and time), Moon Data (moon age of the specific date and moon phase graph), Digital Compass, Altimeter, Altimeter Memory, Barometer, Thermometer. Graphic direction pointer, Bearing Sensor Correction, Magnetic Declination correction, Thermometer. 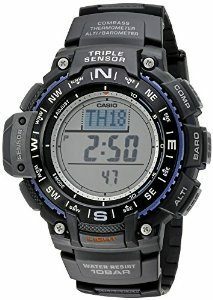 Check today's price 4.4 High Is a really good watch, looks great, is g-shock, has a digital compass and thermometer but doesn’t have an altimeter or barometer. Features digital compass with needle indicator, thermometer. Also features sunrise/sunset time and five daily alarms. Why would you want one anyway? So many survival situations have begun because people wander off from camp whether it be for a bit of re-con, picking berries or simply to go to the toilet. I know of cases where people are picking berries and then see a nice patch just a little further, and then a nice patch a little further and then all of a sudden they’ve been turned around and don’t know how to get back to camp. All you need is to not be paying attention, after all you’re not going far and will not be long so you don’t need to take much gear with you… Famous last thoughts. You might not even be that far from camp but you might be too embarrassed to call out because you’re lost and don’t want to look a bit silly. So what do you do? You start trying to find your camp, but then you get a little more lost and then panic sets in, maybe it’s starting to get dark so you become anxious which can lead to bad decisions. Never underestimate what a bit of fear and panic can do to your once rational thought process. Many survival situations happen when you least expect them and when you don’t have the right gear or you’re simply fatigued. Which watch mechanism is best? The first thing you need to do is to learn some basic terminology of how watches work. Automatic or self winding watch – Power themselves automatically off the movement of your hand so they don’t need a battery. The seconds hand moves smoothly instead of a ticking motion. These guys are marvels of engineering. Mechanical watch – Uses springs and gears to measure time. Think of a traditional watch (see the picture below) and that’s what a mechanical watch is. Quartz – Uses a quartz crystal to regulate an electronic oscillator to keep time. Uses a battery of some sort (whether it be an actual battery or solar powered battery). Super reliable and uses a simpler mechanism than a mechanical watch. 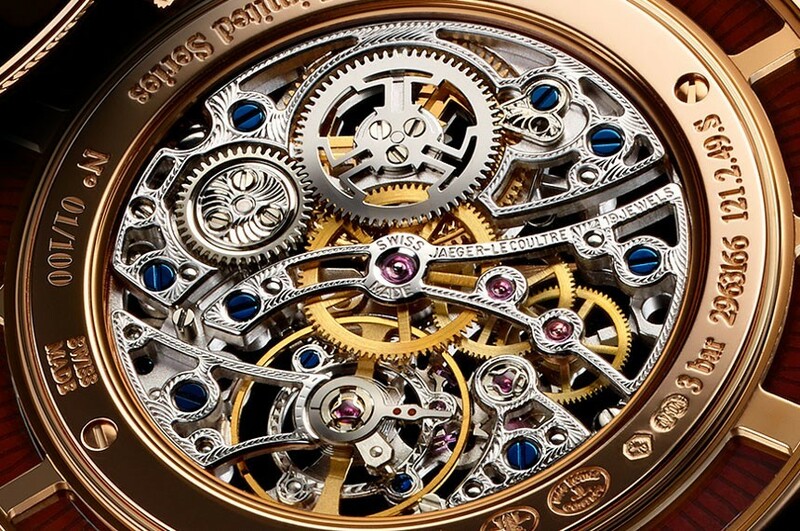 I absolutely love and appreciate the engineering of mechanical watches, they are classic pieces of engineering. Look at the picture to see what I mean. If I wanted a family heirloom to pass on to my son, I’d give him a mechanical watch. However, in a survival situation, I’ll take a solar powered quartz watch every single time. 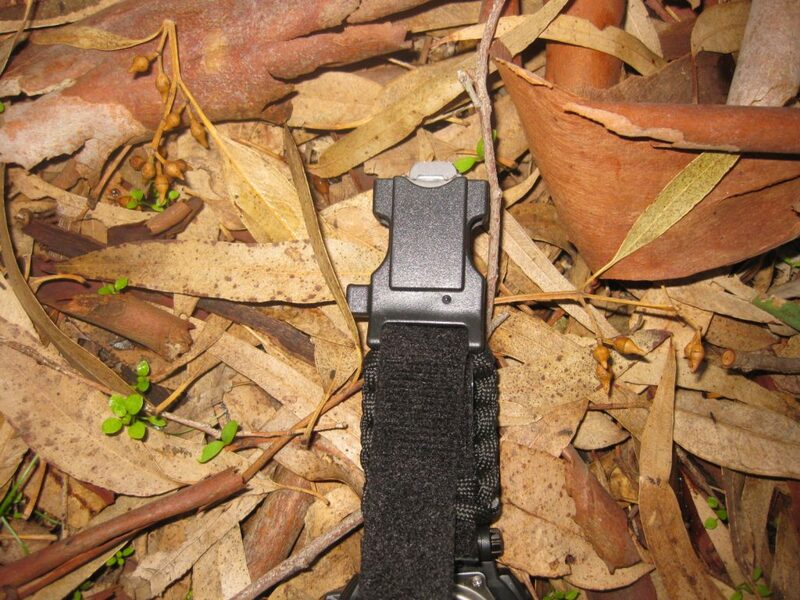 They are more accurate and are far more rugged. You don’t want a watch that will take a battery that runs out, because if you are stranded and there are no batteries, then you are just out of luck. And if you follow Murphy’s law, the time when you really need the watch, it could run out of batteries. The quartz movement watches such as the ones that are kinetic (movement) or solar powered are the best. Let’s be honest, a digital watch will have no moving parts, and they can take a real beating. This is a major plus considering that mechanical watches have much more delicate components. As much as I appreciate the skill involved in mechanical watches, if my life is on the line I want quartz. First things first, other than being able to tell the time and date it has to be rugged, waterproof and have a good power source. To me they are the first things to consider. After these basic features we can look into extra features that watches have that can keep you alive. 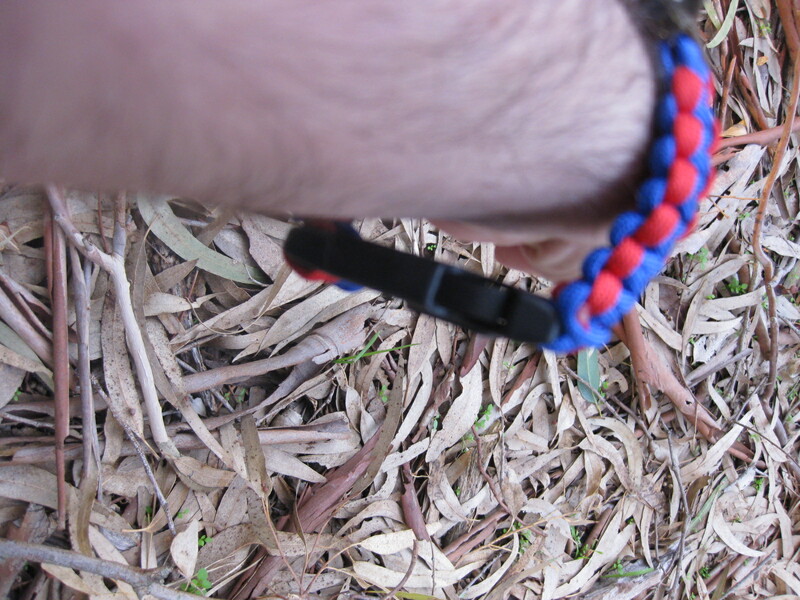 GPS – It’s pretty hard to get lost when you have a GPS on your arm! Compass – If you’ve forgotten or lost your compass there are a lot of different bushcraft methods to tell direction such as putting a stick in the ground and measuring shadows to get a north-south line (check the youtube vid below), checking a tree to tell where the thicker branches (thicker branches will point to the sun) are and many more but if you’re after accuracy and speed nothing beats a compass and nothing beats having a back up plan, so having a compass on your arm can be very handy (pardon the pun). Sunrise/sunset times – We always think we know when sunrise and sunset are but if you’re out hiking it can be so easy to think that the sun won’t set for a while, we quickly lose track of time and then start preparing camp when it’s a little too late, then we start rushing to get it done fast and of course that can lead to mistakes. If you know the precise sunset time, you’re less likely to make a mistake. Relying on bushcraft methods like using your fingers is very inaccurate- https://www.woodland-ways.co.uk/blog/natural-navigation-tips/mythbuster and could lead to disaster. Barometer – Everyone is an amateur weather expert but at the end of the day nothing beats science and knowing if a storm is close by can save you getting drenched and potentially getting hypothermia. Altimeter – If you live in a flat area, this function won’t be very useful to you but if you’re hiking in a mountainous area it can definitely help with navigation. If you’ve got a topological map on you but you’re unsure where you are in the map and can’t figure it by using landmarks, you can use the altimeter to know your altitude which will help narrow down the options of where you are. If you know where you are, you will know the best way to find your way to civilization. Thermometer – If you’re working hard you might not think it’s all that cold or hot and that can lead to issues. For instance, if you’re gathering fire wood or setting up camp, you’ll be working hard and sweating and probably paying no attention to the temperature. If it’s colder than you realized, and you’ve been sweating, once you finish the physical work, if you don’t have a heat source it could very easily lead to hypothermia. Plus, I like to know what the temperature is! 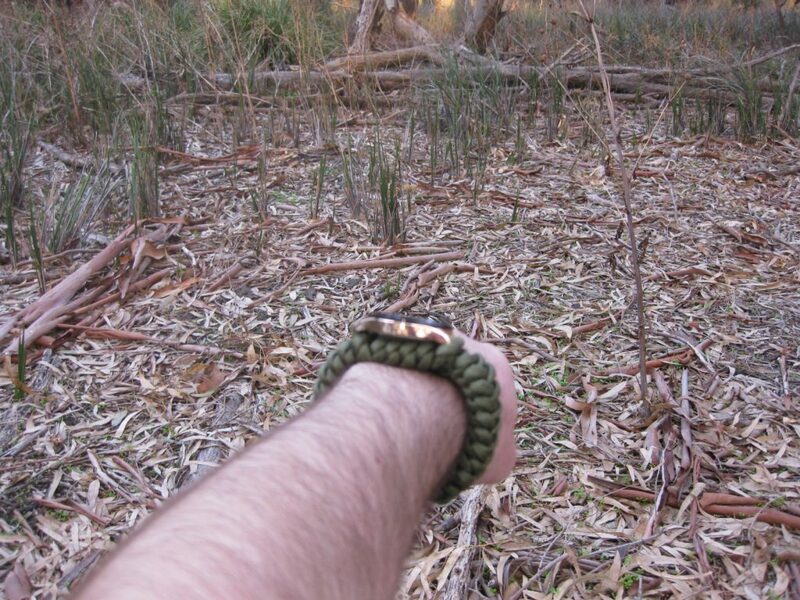 Most survivalists love redundancy, that’s why I think that a decent watch is important. Being lost in the woods is no joke and always having a decent navigation system with you is a great idea. There are a lot of models out there, but if you know what to look for, then you will find the right one. The attitude and skills that you have are important when it comes to survival situations. Having said that, having the right equipment with you can get you through challenging conditions. A very important piece of gear is your watch. 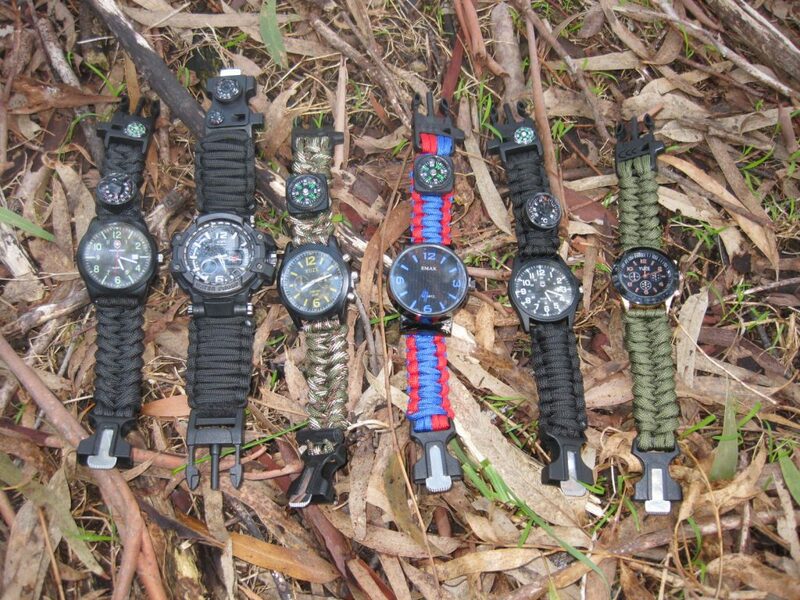 It can be really difficult to select the right survival watch. This is because there are so many features that your watch needs to have. The below watches are the best of the best. Is virtually the same as the above model. They’re both a part of the GW-9400 series. The only real difference is the look. Some prefer black to green. 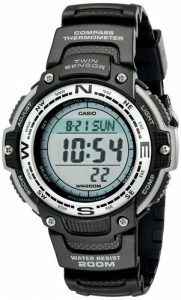 The Casio Men’s PRW-2500T-7CR happens to be the best navigation survival watch that isn’t g-shock and not just because it is solar powered. It will help you gain control of your surroundings especially in new places. There are plenty of features that are helpful such as the thermometer, altimeter memory, altimeter, digital compass, and barometer. It even has a duplex LCD display that will give you upper as well as lower LCD display for details when you happen to be on the move. 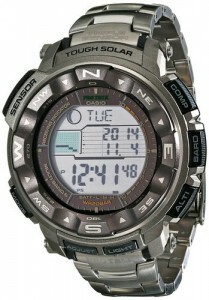 At night, the backlight is automatically turned on which makes it easier for you to check the time and other details. There is even new moon and tide data that you can upgrade too. 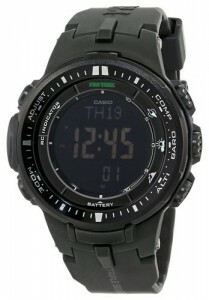 Casio is a brand that everyone knows and they make great watches. 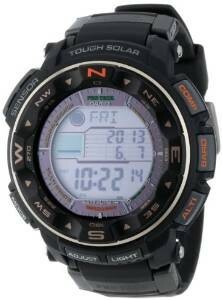 You will be able to increase your odds of survival in harsh environments by wearing this Pro-Trek watch. 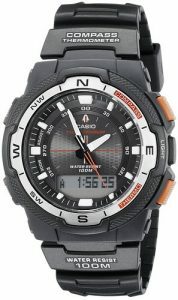 This particular watch tends to be more rugged and is great for any weather conditions as well. This particular watch will give you multi-band atomic time keeping and even though its just a watch, it will keep you updated with all that you need in order to survive. There are sensor capabilities that will give you weather prediction, accurate navigation, and environmental awareness. It also comes with a thermometer, barometer, and compass. 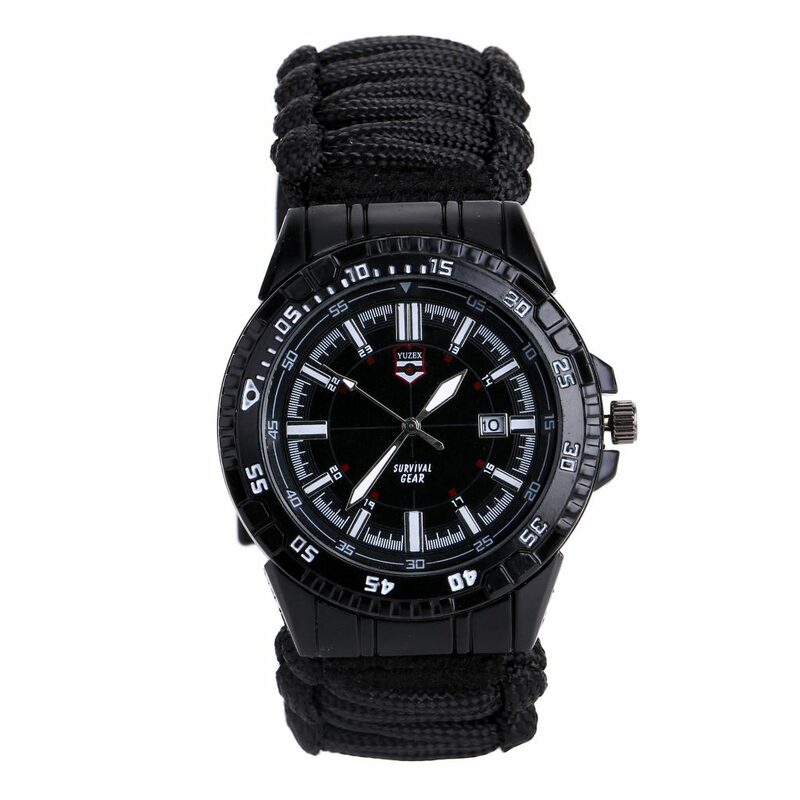 This happens to be one of the best survival watches that is out there right now. It is made with a stainless steel case material, a resin band, and a buckle clasp. This is great if you are looking to stay ahead of Mother Nature. 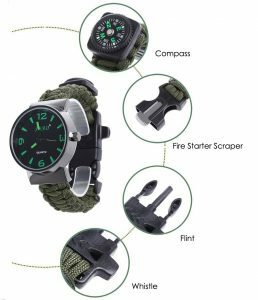 This watch was created to help you to surpass and withstand challenges that you may come across while in a harsh environment. There is plenty that this watch can do. It has compass details with altitude measurements. It fits perfectly on your wrist and it is great if you are looking for a negative display. It also has sunrise and sunset settings that are convenient and resourceful. It can be purchased here. 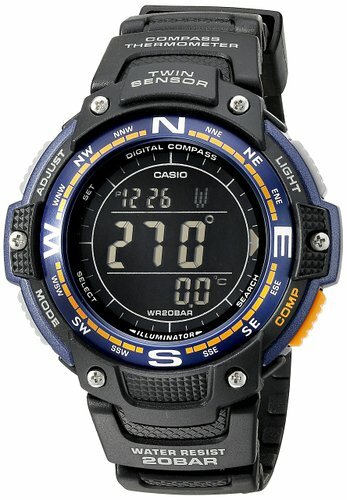 Is a really good watch, looks great, is g-shock, has a digital compass and thermometer but doesn’t have an altimeter or barometer. It’s different to the above models because it has an analog display which many prefer. In this section I’m just going to go over g-shock watches because so many have a preference for them over other types of watches. 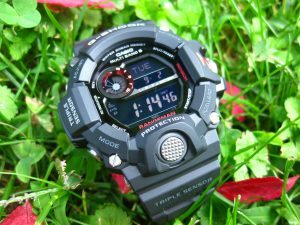 Your best options for g-shock watches have been discussed in the previous section so I won’t go over them again. Below will be the best of the rest. Being able to find the best G-Shock watch can be really hard. You have to consider a lot of aspects to come up with the right watch that will be getting you the best deal out there. You have to look at the price. Keep in mind that the lower priced models do not have all the bells and whistles like the more expensive ones, but they still do what they are needed to do. The list below has a watch that will fit everyone’s budget. The next part is experience that should be considered. If it doesn’t fit well on your wrist, it is like getting a pair of clown shoes. This could cause you to just keep the watch on a shelf and that isn’t something that you want. The next aspect that was looked at was quality and construction. The last aspect to consider is popularity. You may be asking why this is factor that is considered but if many people have reviewed and loved the watch then it’s probably a pretty good watch. Plus being able to find accessories or parts to repair a popular G-shock is so much easier than the more rare models. 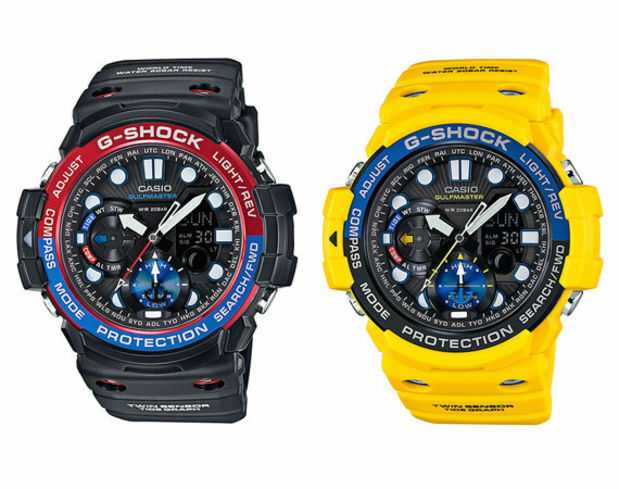 The g-shock watches are so popular there are even fakes. 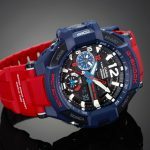 Now that you know how these watches were picked, you will be able to see the best model of G-Shock watches on the market right now. 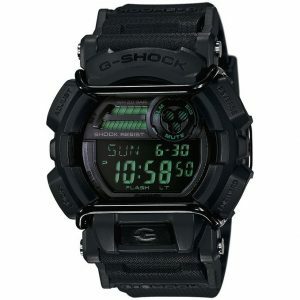 This version of the G-Shock is a really high quality, sleek watch that has a pretty stealthy look. It happens to be one of the watches that I truly believe will give back in value for the money that you have invested to buy it. The best part is that is really reliable and comes a quite reasonable price. This G-Shock is going to be the best choice to make if you are looking for return value for the money that you spend. Although there is a better quality version which is the GWN1000B, this model is a lot cheaper and tends to last just as long. 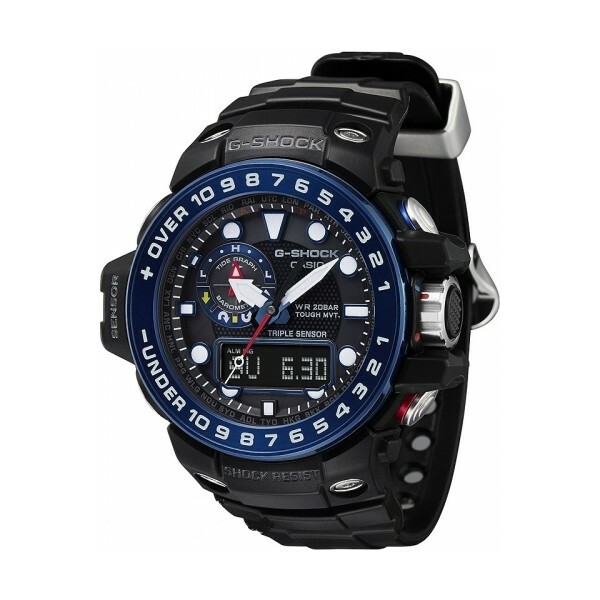 When it comes to price, it is very reasonable and is a great watch for its price range. This model is considered the King of all G-Shocks. It is because it is the largest one out there. It has a square case and the looks of it will certainly have people asking you for the time a lot. Since the release of this bad boy, you would have expected a really high price tag, considering that a lot of celebrities are paid to advertise it, but it is really affordable. If you want a big watch that will really stand out then the King is going to be the best option out there for you. 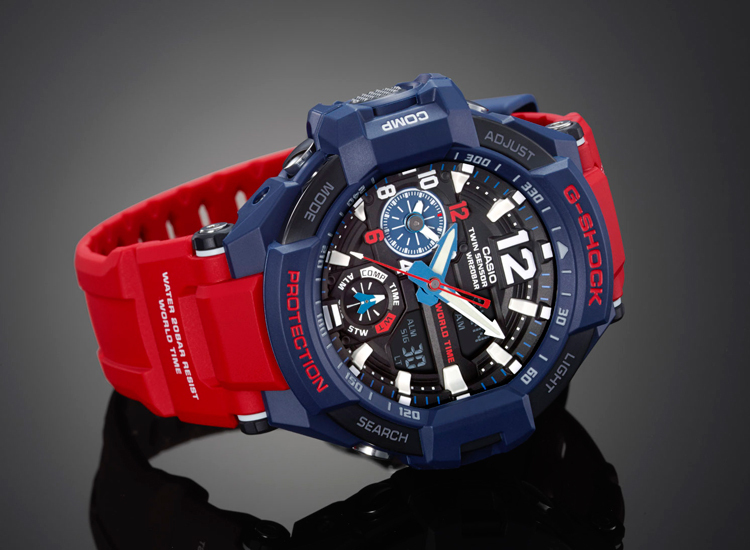 If you are really wanting the best type of experience out there, then you need this G-Shock. This is a top of the line type of experience. It is made from only high quality materials and has all the best features and specifications. This is the type of watch for those who are not ready to accept any compromises when it comes to toughness and quality. This is a real masterpiece when it comes to aviation watches. This is a somewhat expensive model of G-shock that will come with all of the best features from the G-shock line. 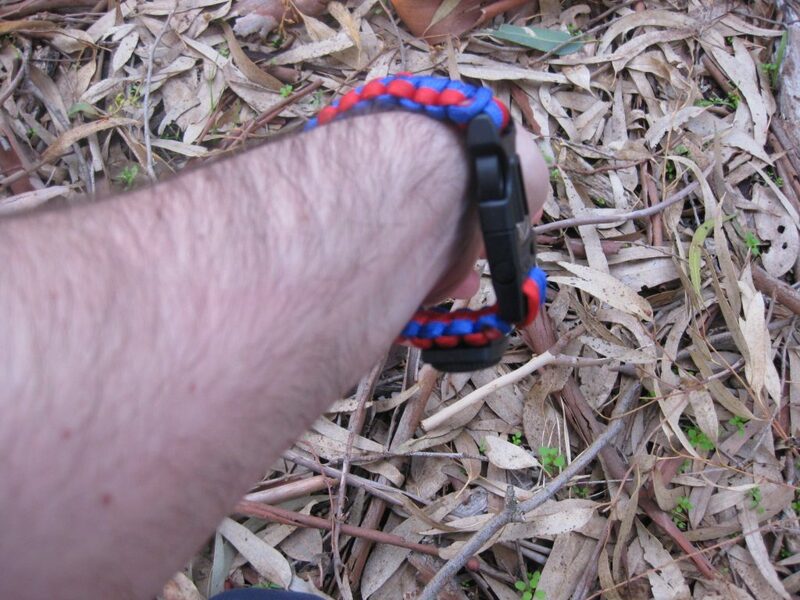 It is made from high quality materials that is super tough and doesn’t look like some gawdy thing on your wrist. If you are really wanting a good G-shock and you have the resources then this is going to be your best bet for a top quality aviation watch. 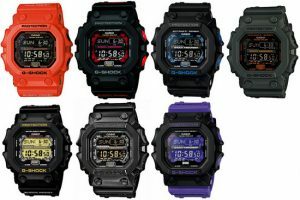 This is a great display of G-Shock that has a lot of features and much to offer for a real affordable price. Although the black display isn’t for everyone out there, it does have a lot of qualities that people are seeming to love. 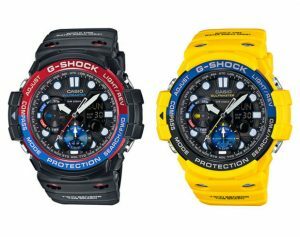 It is one of the G-shocks that is going to be worth giving a try. If you have been looking for a G-shock that is way different from all the other models, then The Gravity Master is one that you should be looking at. This mode is a great watch that comes with a whole lot of features an aviation look to it. It is well worth the price because it simply holds it value and it resists all sorts of hazards as well as shocks. To me that is a watch that needs to be in my life, simply because I am beyond unlucky and clumsy. The Twisted Metal is a real piece of work that make you think what was Casio thinking. It is pretty large and it is a noticeable model but it has all the latest technologies. It has a bulky case that is made of twisted metal that will resist many scratches and shocks. Now even though the looks leave a bit to be improved on, it is one of the absolute best G-Shocks that comes in a metal case for an affordable price. Although this may be a cheap version of the G-Shock, it is actually a really good deal. You won’t get a lot of the bells and whistles, but if you are just looking for a modest watch that has a pretty unique display, then this is perfect. When it comes to return value and affordability, this is the ultimate best.